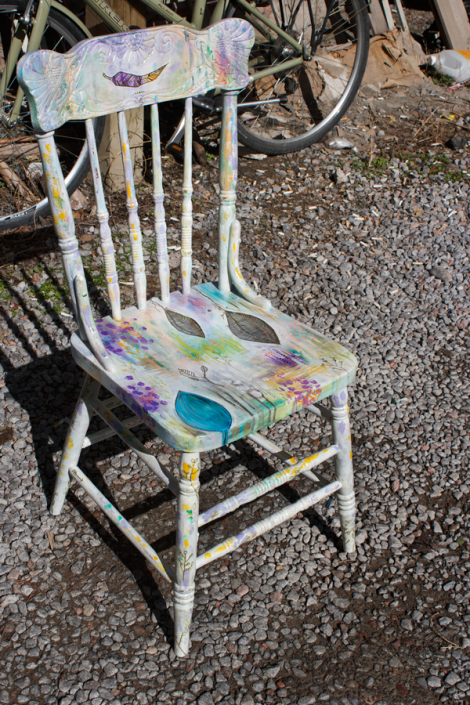 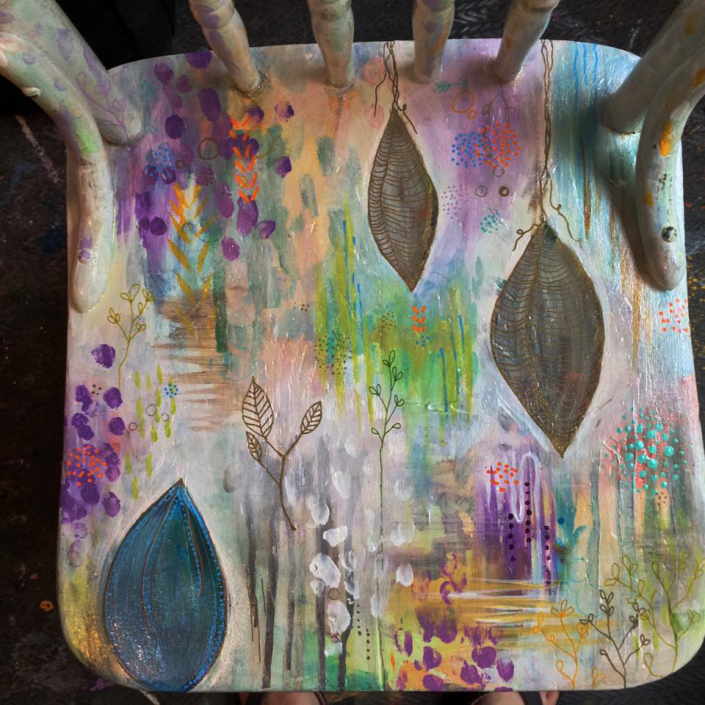 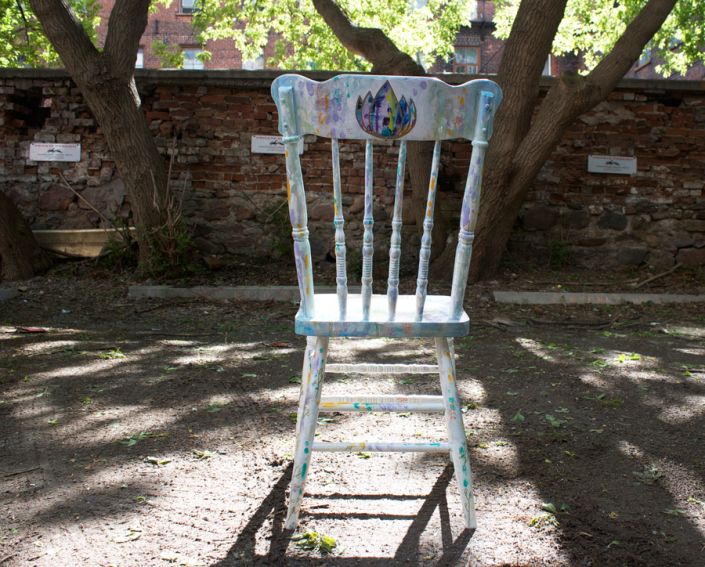 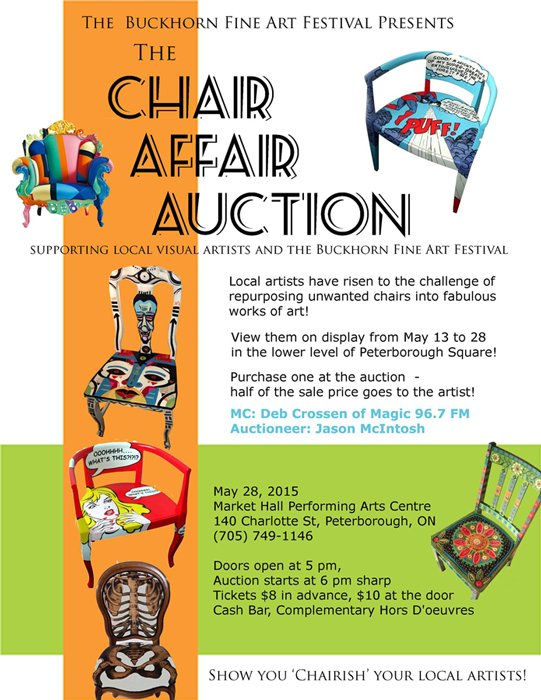 “Artists from the Kawarthas, Peterborough, Buckhorn and the surrounding areas have repurposed chairs, creating beautiful pieces of art to be auctioned off on May 28th, 2015 at Market Hall, Peterborough – doors open 5pm – the auction starts at 6pm sharp. 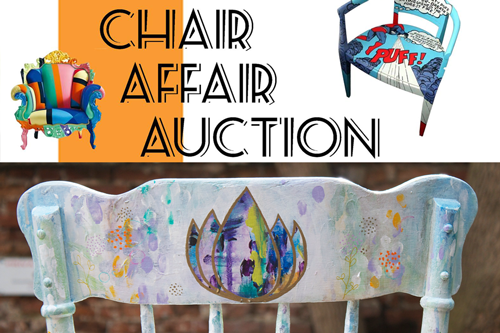 I am pleased to be part of a wonderful community event in support of the arts! 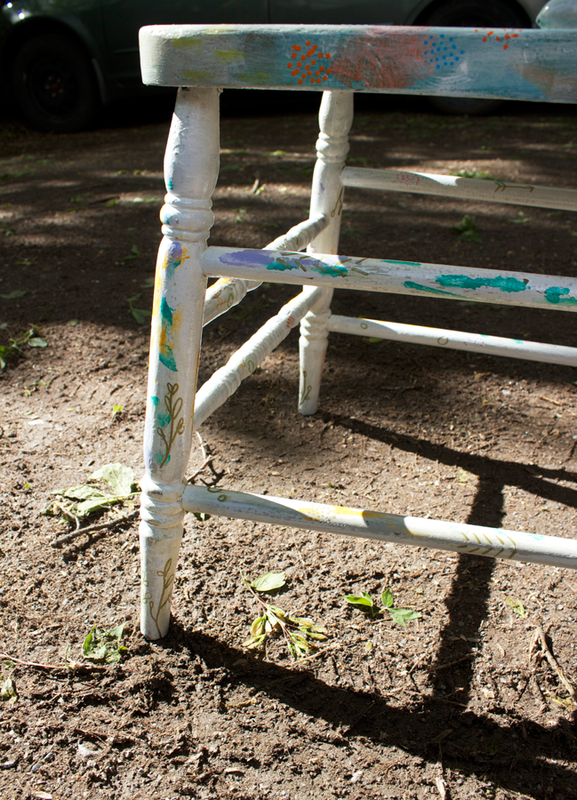 I am always intrigued with giving life to a forgotten item, especially when it comes to furniture. 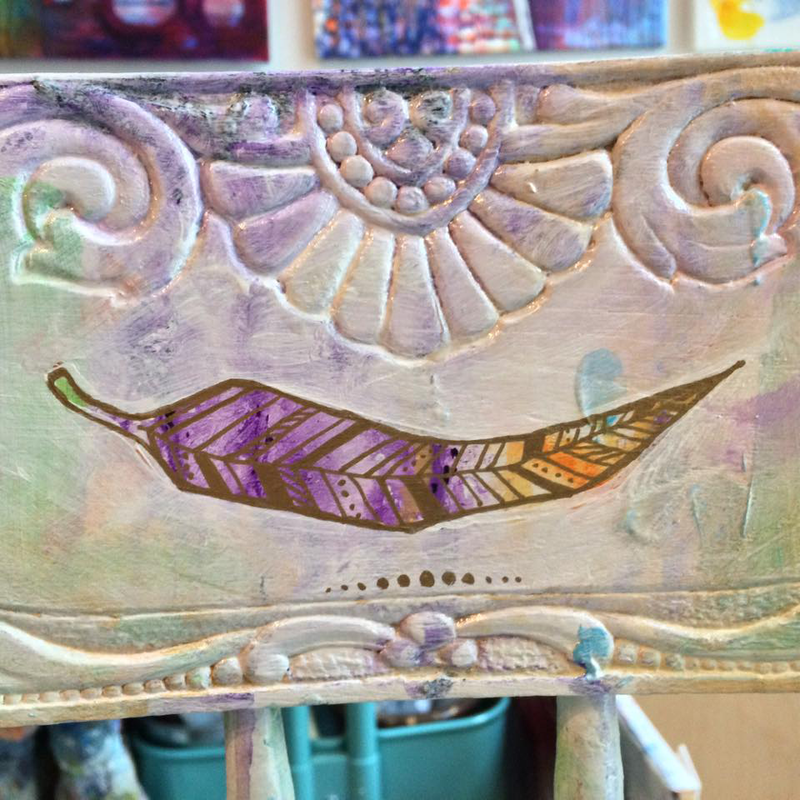 The unique surface structure to paint on is refreshing and offers a challenge. 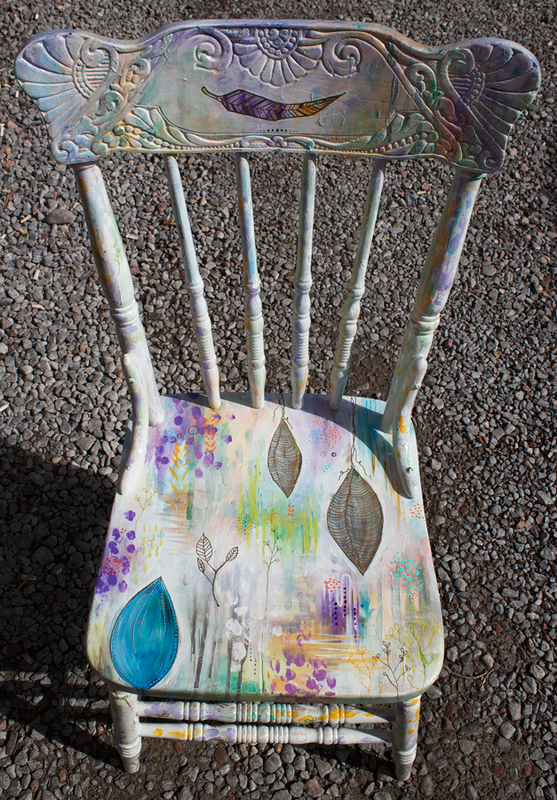 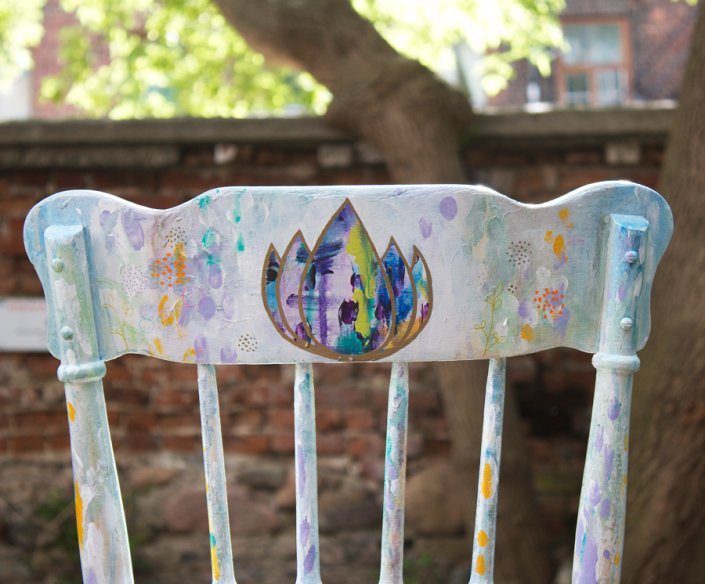 My chair Tranquility will be available for auction this evening.